I know, I know. It's Vampire's Love overkill this week. Bear with me. I'm almost done. This is the second last one. 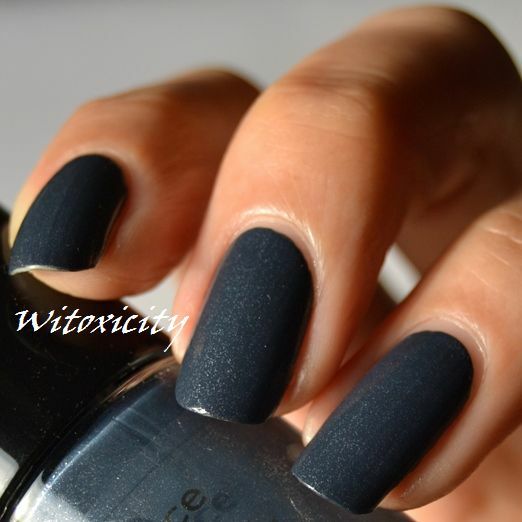 Essence Into The Dark is a dark denim blue with silver micro glitters. It looks darker on the nails than in the bottle and that's probably due to the silver micro glitters floating more conspicuously in the bottle. I've got the usual two coats on here. Of course, a dark blue polish calls for some silver stamping! They always go well together. I used this design from the Chez Delaney plate B101 and the silver Essence Nail Art Stampy Polish which I bought months back but have never used. 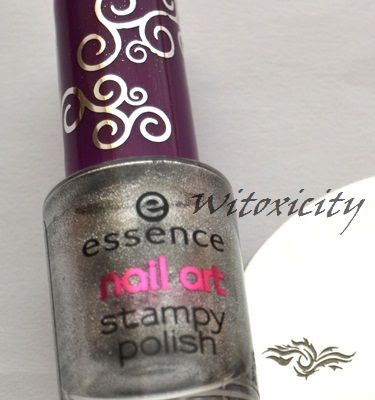 This polish is featured in my ongoing giveaway. 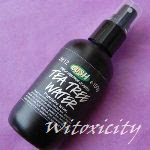 Try your luck! Sometimes the simplest designs look the best. Love this mani! Beautiful mani. It looks like a dark greyish blue shade, I like it. Silver on blue is always a gorgeous combination. 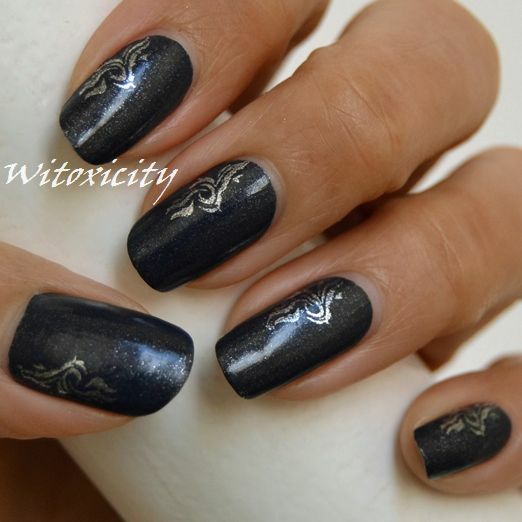 I wonder if blue stamping on silver nails would give the same stunning effect. No, not overkill! I love seeing these! All of them so pretty. I simply LOVE this color! Blues!!! But the pretty sparkly kind :p. All these nail colour posts make me want to do a mani again /^w^\! Hey, dank je, Nikki! Ik ben zeker blij dat je deze mani leuk vindt! :D Fijn weekend! Oh dear :o! The anonymous one would be mine XD;;;. Oh good! I guessed right! Haha!